The man, identified as Tyrone Joyner, 22, of Southwest, was shot about 6:30 p.m., according to police. The shooting occurred in the 1400 block of Canal St. SW, in a neighborhood west of [Nationals Park]. The circumstances of the shooting were not immediately divulged. Police said the motorist stayed at the scene, though investigators said it was too early to determine who was at fault. Police said the victim appeared to be in his 30s. Police said the victim was taken to an area hospital with life-threatening injuries. 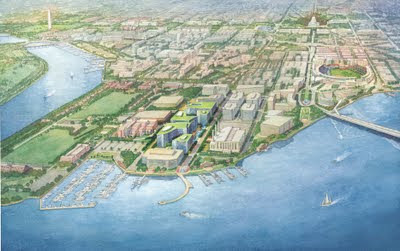 - Here's a reminder that tonight is the first part of the Shaping Southwest: Understanding the Past and Envisioning the Future lecture series hosted The Southwest Neighborhood Assembly, in partnership with the DC Preservation League. The lecture will be held at Jefferson Middle School from 6pm - 8pm. The cost is $15 for DCPL Members and Southwest residents and $25 for Non-Members and non-Southwest residents. Register here. 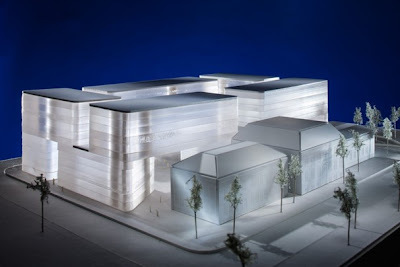 [Bing Thom] also released a more detailed plan for the complex’s reuse, which includes museum space, residential units and two culinary wings that might be devoted to a restaurant and cooking school. A large auditorium wing could become a dining room. The most innovative idea in the mix would be “culinary incubators,” small pop-up style restaurants run for discrete periods of time by top young chefs. There will be approximately 440,000 square feet of residential space arranged in an accessible courtyard behind the historic buildings in a mix of townhouses and apartment buildings. The planned development of the Randall School site by the Telesis/Rubell team is located next door to Randall Recreation Center. KIPP DC may be awarded the right to build a charter high school and rebuild a new recreation center for the community at that site through an agreement with the city; however, the Telesis/Rubell team feels that a charter school is incompatible with their plans for a mixed use complex next door. DC Council members Vincent Orange (At-Large) and Jack Evans (Ward 2) have co-sponsored a bill called the "Ivy City Tour Bus Parking Restriction Amendment Act of 2013" asking the Mayor to move the site of a proposed commercial bus depot from the vacant Alexander Crummell School property in Ivy City (located in Ward 5 and CM Orange used to represent Ward 5 on the Council), to the parking lot at 1880 2nd Street in Buzzard Point (the bill incorrectly labels the address as 1880 V Street, SW, which doesn't exist in the city). According to the proposed bill, the 2nd Street lot can hold over 200 coach buses and 550 cars. Apparently, the Council members did not notify ANC 6D or SWNA before introducing their bill to locate a bus depot in the neighborhood. I wonder if Akridge was notified? What is unclear from the legislation is whether the city is looking to purchase or lease the lot from Akridge. Also unclear is whether this depot is seen as a temporary or permanent solution for the need of tour bus parking. Good People, written by David Lindsay-Abaire and directed by Jackie Maxwell, takes place in South Boston’s Lower End, where minimum wage is the maximum wage and hard work and sacrifice don’t ensure success. 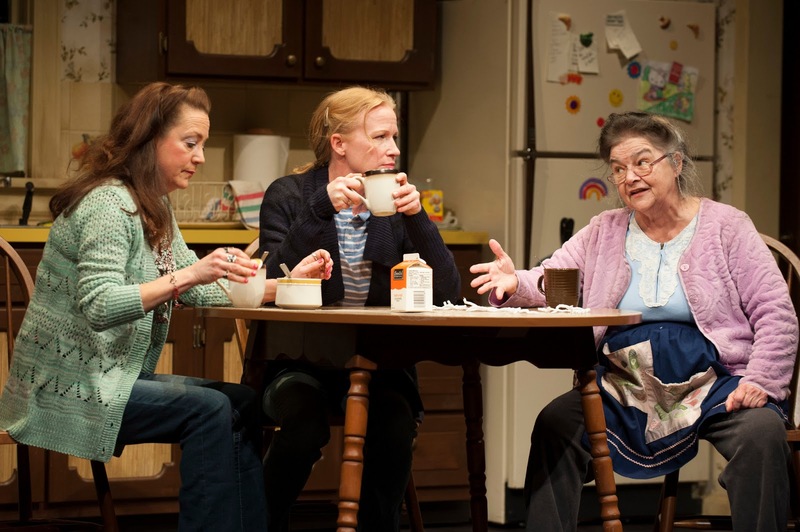 Tony Award nominee Johanna Day takes on the starring role of Margaret (Margie) Walsh, a single mother of a special needs child who loses her job and struggles to make ends meet. She turns to an old flame named Mike (played by Helen Hayes Award winner Andrew Long), a doctor who made it out of South Boston, in hopes that his good fortune can somehow improve her own. Rounding out the cast is Francesca Choy-Kee as Kate, Michael Glenn as Stevie, Rosemary Knower as Dottie, and Amy McWilliams as Jean. Good People highlights the differences (and similarities) between the classes using comedy, but is very effective in getting the point across. The harsh reality of rough economic times was vividly portrayed on-stage. I thoroughly enjoyed this production with its mix of drama and comedy and recommend seeing it if you can. Good People runs from February 1 – March 10 in the Kreeger Theater at Arena Stage. Southwest Night has already passed for Good People, but ticket prices start at $40. In conjunction with the production and Ward 6 Council member Tommy Wells’ office, the Looking for Good People Job Fair will be held on Friday, March 1 at Arena Stage from 10 am to 2pm. Recruiting companies onsite will include Comcast, Entertainment Cruises, CSX Railroad, Department of Employment Services (DOES), DC Water, Giant Foods, Gordon-Biersch Brewery Restaurant, Safeway, US ARMY Baltimore Recruiting Battalion, Wal-Mart and Washington Metro Transit Authority (WMATA), among others. Organizations including D.C. Housing Authority Workforce Development Office; Dress for Success; The Graduate School, USA; Living Classrooms; Street Sense; Strive D.C. and the United Planning Office (UPO) will also be offering one-on-one workforce development services to enhance interview skills and strengthen job-seekers' ability to get hired. Be sure to bring multiple copies of your resume and dress professionally if attending the job fair. Venus Williams will return to the Washington Kastles roster this season as they defend their Mylan World Team Tennis championship for the second year in a row. 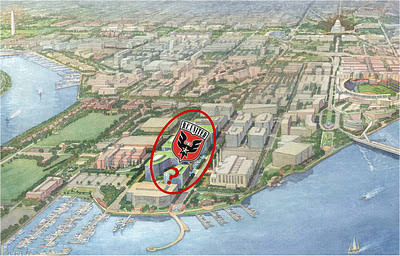 The Kastles will play once again at Kastles Stadium at The Wharf, but it will most likely be their last season at the current location since redevelopment of the Southwest Waterfront is scheduled to begin sometime in 2013. The team has been undefeated since moving to The Wharf in 2011 and at 32 wins in a row are one game away from tying the all-time major professional sports unbeaten streak set by the 1971-1972 Los Angeles Lakers. The 2013 season will run from July 7 - 24. The home match schedule has not been released yet, but Andy Roddick of the Springfield Lasers and Sloane Stephens of the Philadelphia Freedoms will visit Kastles Stadium this season. Coach Murphy Jensen will return this season as well for the Kastles. It's unknown whether Serena Williams will be back this season due to scheduling issues. The rest of the team will be chosen during the roster draft on March 12. For several years, Randall Recreation Center at South Capitol and I streets has been underutilized. Next door to the recreation center are a community pool, tennis & basketball courts, ball fields, a playground, and a forlorn plaza area. While the ball fields, pool and sports courts are heavily used, the recreation center is currently devoid of programming. There have been efforts by local organizations, such as the Near SE/SW Community Benefits Coordinating Council (CBCC) and SWNA, to get financing and bring some programming to the recreation center. Funding has been secured by the Gray administration’s “Play DC” initiative to build a new playground and renovate the plaza area to make the entrance to the recreation facility more inviting and user-friendly, with construction to occur later this year. 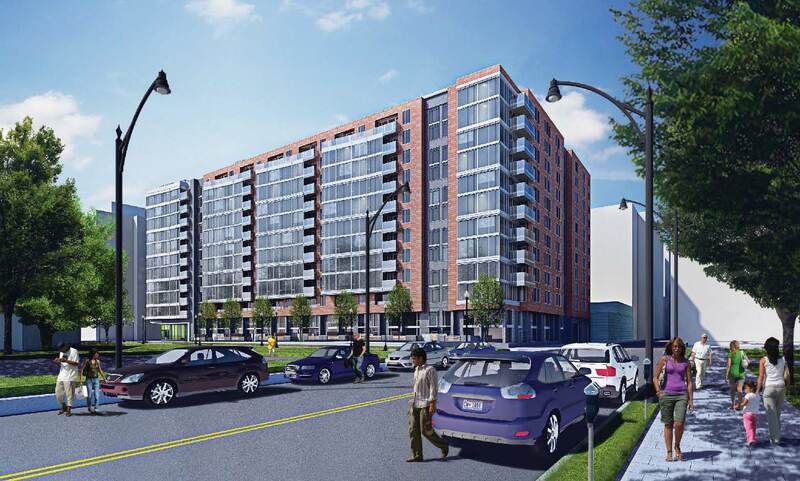 DPR's renovation plan for the Randall site, developed after community meetings in 2012. Meanwhile, the Department of Parks and Recreation is supposed to release a Request for Proposals (RFP) to select a non-profit provider of services to Randall Recreation Center. 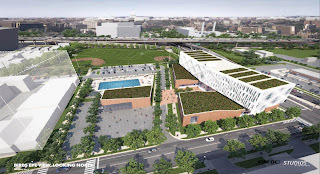 Related to the upcoming RFP, KIPP DC proposes to build a new, LEED-certified charter high school designed by StudiosArchitecture on the site of the current recreation center along South Capitol Street that will accommodate 650 students. 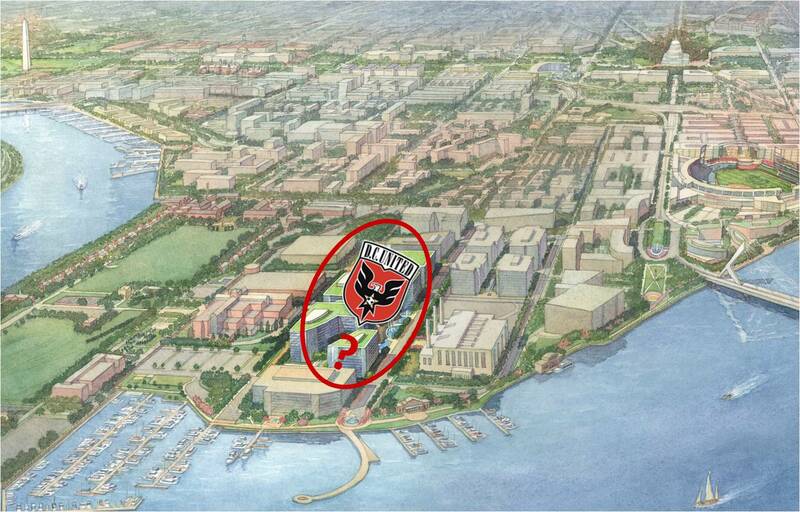 There would be space on the ground level for a facility run by Georgetown University Medicine. In addition, KIPP DC would refurbish the existing Randall pool and ball fields, move the basketball courts to the northwest corner of the site, and build a brand new community center and pool house adjacent to the pool. KIPP DC has an ambitious schedule and plans to deliver the new school by the summer of 2014. 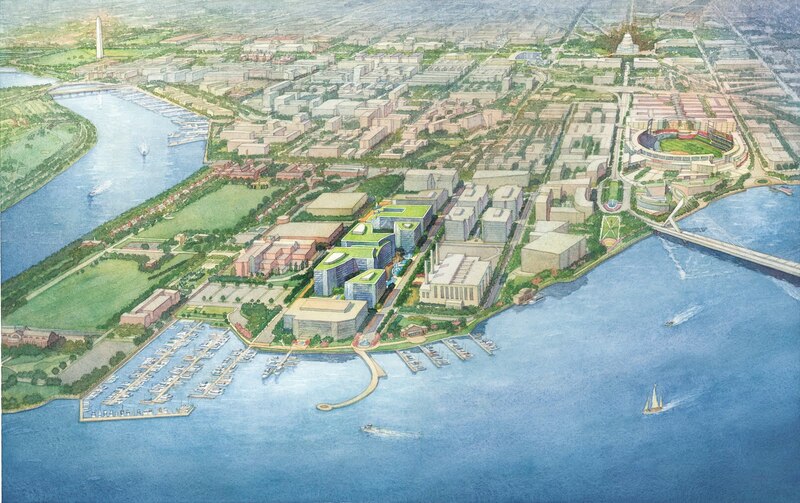 A birds-eye view of the proposed KIPP DC campus and new recreation center. However, KIPP’s plans are incompatible with those of the developers of the former Randall Junior High School site next door. Telesis/Rubell (the Rubell family also owns the Capitol Skyline Hotel across the street from the rec. center) bought the former school from the Corcoran and plans to bring a contemporary art museum and restaurants to the historic buildings as well as build 400,000 square feet of apartments and townhouses. Telesis’ Marilyn Melkonian has pledged to find financing to renovate the existing recreation center. 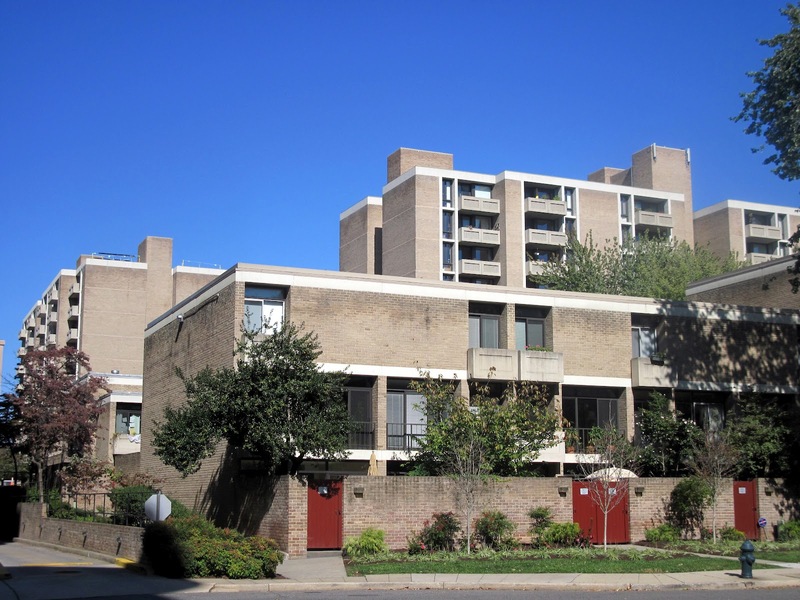 In addition, the Randall Recreation Center could be designated as a historic landmark as one of the few remainders of buildings that existed prior to Urban Renewal, which could complicate KIPP DC’s plans. An earlier concept for the Randall School site. At the same time that this is all happening, the Office of Planning is preparing to embark on a Small Area Plan for Southwest at the behest of Ward 6 Council member Tommy Wells. There is a large amount of public land in SW, including the Randall Recreation Center site, and typically, a Small Area Plan provides residents, land owners, developers, city officials and District agencies with a framework and recommendations to guide future development in the study area. The Small Area Plan will take about eight months to complete, but by-right development can still move forward while the plan is underway. ANC 6D voted to support the creation of the Small Area Plan and stipulated that no decisions be made on the Randall Recreation Center site until the Small Area Plan is completed. SWNA supports the measure as well. 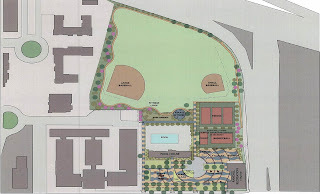 The CBCC also supports the creation of the Small Area Plan, as long as is doesn’t preclude continuing negotiations with KIPP DC, Telesis/Rubell, or any other interested parties in the Randall Recreation Center site. Each of the plans for Randall has their pluses and minuses. KIPP DC would build a brand-new community center, but what about the increased traffic from 650 students and faculty coming to the site each school day? 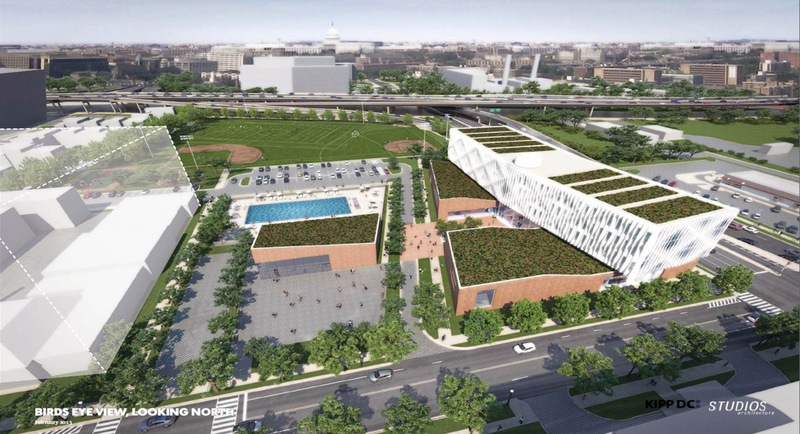 Is a brand new community center and refurbished fields worth bringing a new school into the community where only students from KIPP DC’s elementary and middle schools would be able to attend? Would Telesis/Rubell still move forward with their plans next door if the charter school is built? Telesis has pledged to find financing to help renovate the existing recreation center, but is it guaranteed that financing would be found? How long would it take to get sufficient financing under either scenario to fund programming? There are a lot of questions yet to be answered. Entrance to Element hotel off of 7th Street Park. 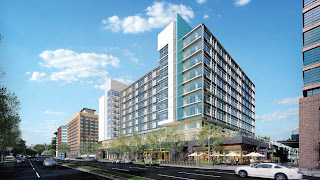 The main entrance to the Element extended-stay hotel will be off of 7th Street Park while the aloft entrance will be on Wharf Street. A secondary entrance to the aloft will be off of a service drive that runs through the property - this will be available in cases when Wharf Street is closed to traffic for special events. A taxi stand will be on Maine Avenue. Just to the north of the Element entrance will be a monumental staircase, which leads from 7th Street Park to the shared plaza area on the second level. 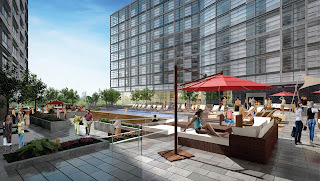 This plaza will have a pool and bars that will be open to the public in addition to hotel guests. Both hotel lobbies and the second level will be open to the public - key card access is only required to reach the guest rooms above. There will be a Zoning Commission hearing on February 28th at 441 4th Street, NW, Room 220 South at 6:30pm. - Caseys Coffee had its grand opening last Monday at the Patriots Plaza office complex on E Street. It is approximately 2,200 square feet with seating and is on the same block as Cafe Phillips and Pizza Autentica. There isn't much signage up yet for Caseys Coffee besides a small sign on the door with hours of operation. The coffee shop is open on weekdays from 6:30 am to 4:30pm and serves coffee, soups, sandwiches, and salads. Some of the baked goods selection. - Sandella's Flatbread Cafe is the latest restaurant to make its way to the revamped retail center at L'Enfant Plaza. It will be located next to F.Y.I. in the food court. The national chain fast casual restaurant serves wraps, paninis, quesadillas, grilled flatbreads, salads, rice bowls, breakfast items, and dessert. This will be the only Sandella's in DC; there is one in Arlington. 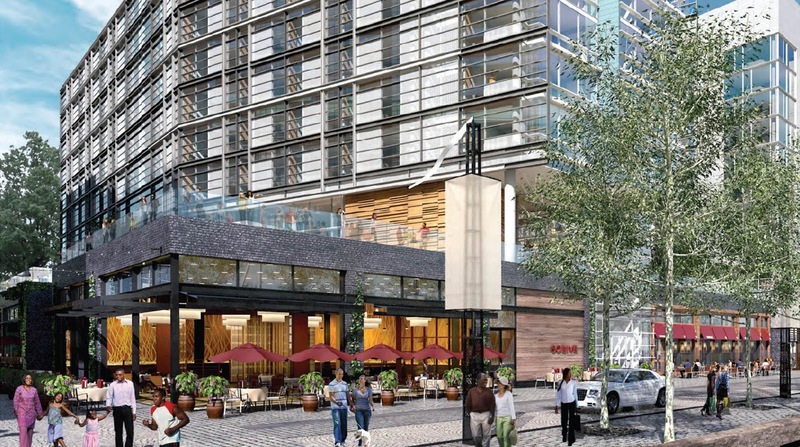 Meanwhile, construction continues on phase two of the project at L'Enfant Plaza, although the glass atrium entry planned for this phase has not started yet. 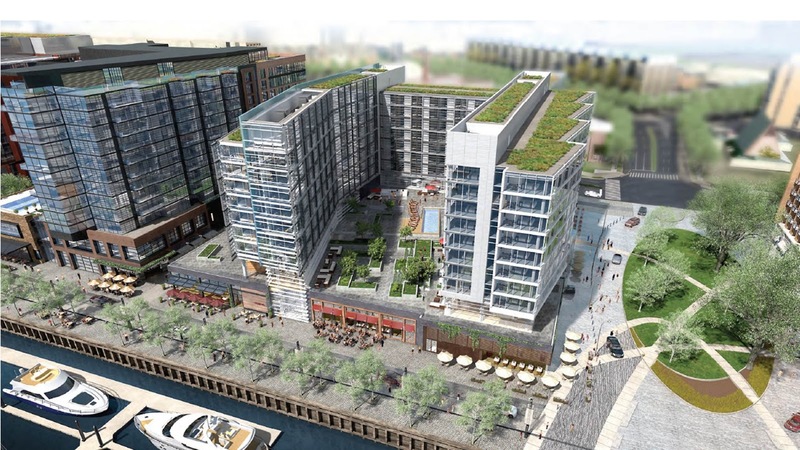 JBG will come before ANC 6D at their February 11 meeting to present their plans for the two hotels proposed at Parcel 5 of The Wharf. 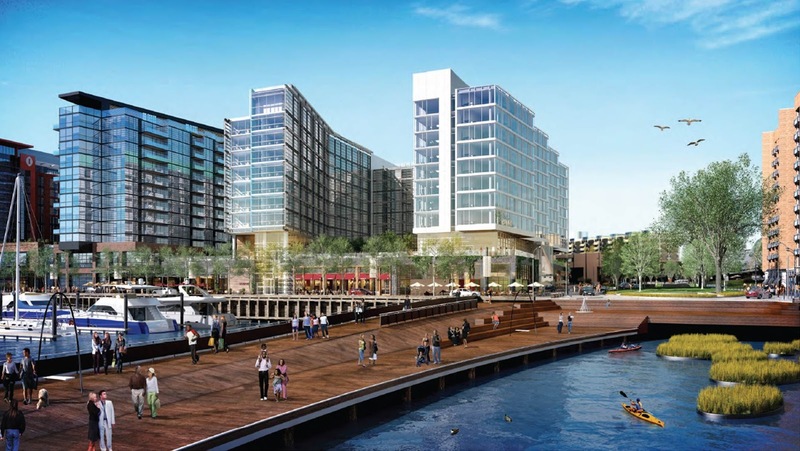 These hotels are part of phase one of the project, but are being presented separately from the recently approved Stage 2 PUD application by Hoffman Madison Waterfront. 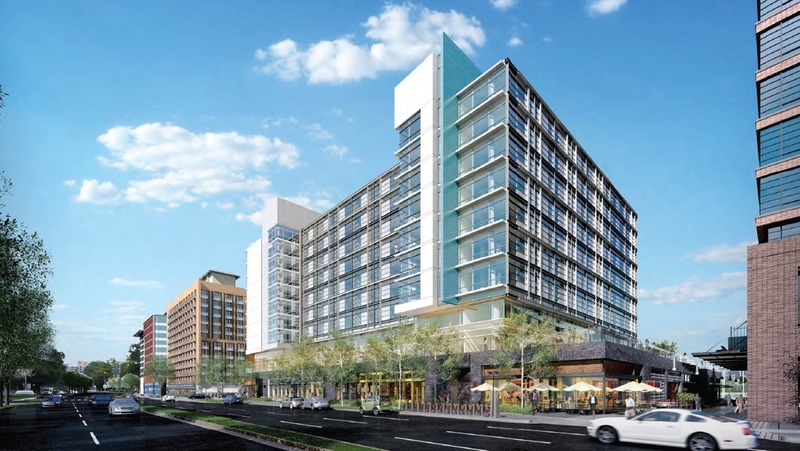 There will be a 160-key extended stay hotel on the east side and a 245-key limited service hotel on the west side of Parcel 5, which are rumored to be an Element and aloft hotel; both brands are a part of the Starwood Hotels & Resorts portfolio. Element hotels are built to be eco-friendly, with floors made of recycled materials and energy-efficient lighting and plumbing fixtures, to name a few examples. aloft hotels are billed by Starwood as "hip" and are typically found near airports or downtown areas. 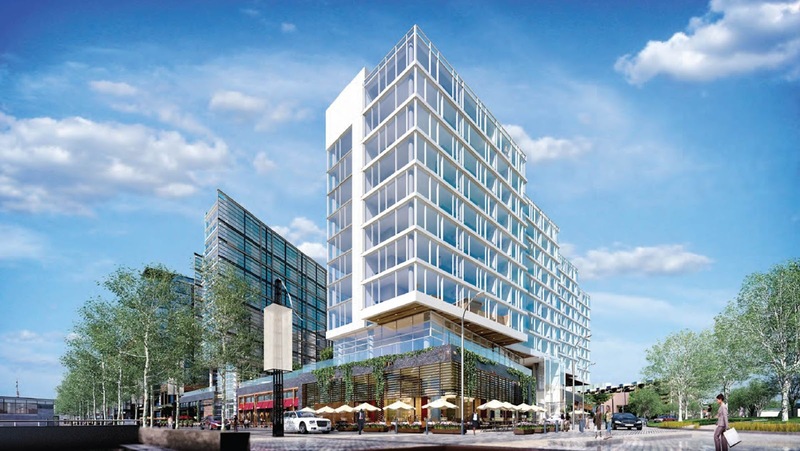 Both hotels will reach 110 feet, which is lower than most of the other buildings planned for phase one of The Wharf. A total of three hotels will be built at The Wharf; in addition to the two planned at Parcel 5, an Intercontinental Hotel is planned at Parcel 3b. The building takes advantage of the views and reduces its massing by subdividing the typical rectilinear bar into four smaller, slightly rotated, volumes focused on the river. 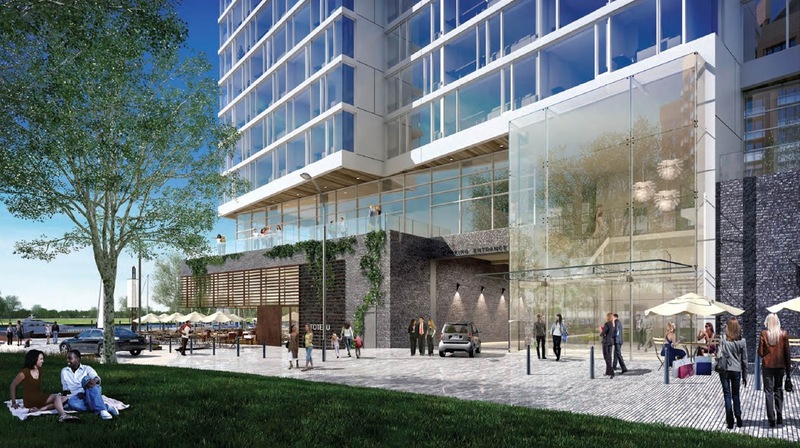 The modern glass and metal panel façade will provide a serene backdrop to the 7th Street Park. View of the extended stay hotel from Wharf Street. The 245 guest-room hotel is composed of a glass façade with articulated horizontal mullions evoking a modern interpretation of a warehouse. 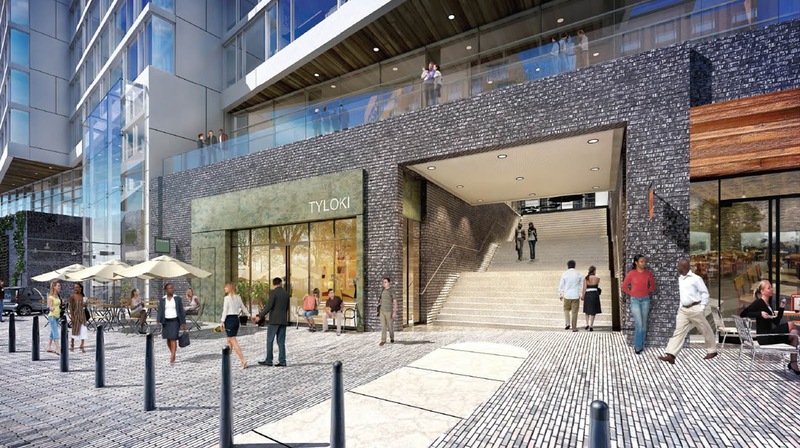 The façade has been set back from the Mews in order to enhance the views and provide a series of outdoor terraces at the Plaza level. View of the limited service hotel from Maine Avenue. The west side of the parcel faces Jazz Alley, with ground floor retail space catered towards small-scale music and artistic venues while the Wharf Street frontage will have restaurants. The Maine Avenue side will have fast casual restaurants and neighborhood serving retail while the 7th Street Park side will have specialty retail. View of retail area at Jazz Alley and Wharf Street. There willl be space for a large plaza on the second level which will contain amenity space for both hotels, including a pool. 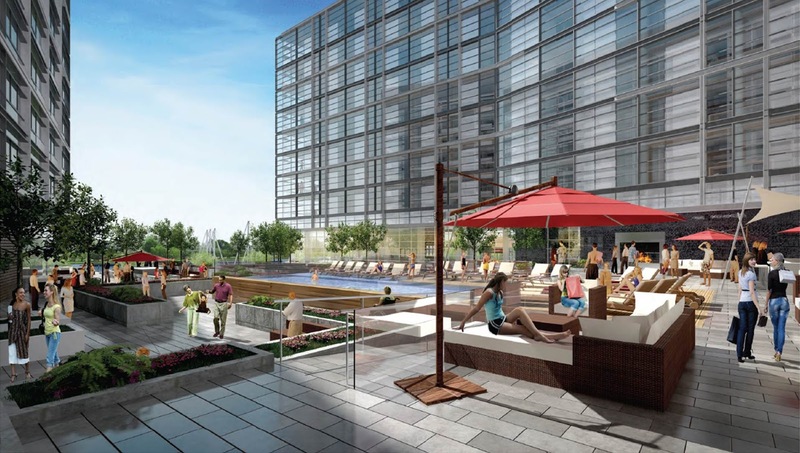 JBG will aim for LEED-Silver or higher for both hotels on Parcel 5. Plaza area on the second level. A new turf surface is being installed at Amidon-Bowen Elementary School which replaces the basketball courts that were previously in place. Basketball courts will be built later this year at Lansburgh Park to replace the ones removed at Amidon-Bowen. The new turf football/soccer field is part of $500,000 worth of new outdoor play space that is coming to the school, which itself was renovated extensively over the summer. Besides the turf area, there will be two playgrounds and a couple of short running lanes. In addition to play areas, a greenhouse is planned for an area next to the playground reserved for younger children. Below are a few photos, both before and "after." The new turf area will be used for football and soccer. The basketball courts (from last summer). The perimeter fence has been moved closer to I Street.